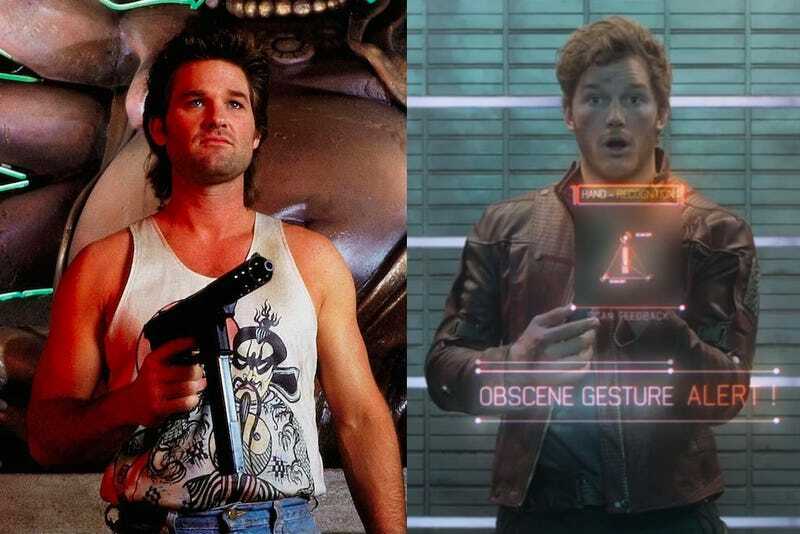 We don’t know who Star-Lord’s father is in the Marvel Cinematic Universe quite yet, but we may know who’s playing him—the current rumor is that director James Gunn wants Kurt Russell to play the mysterious sire of Peter Quill for the much-anticipated Marvel sequel. The Wrap says that meetings haven’t yet take place, so even assuming the rumors are true, that doesn’t mean Russell will take the part. I hope he does, though; no one plays swaggering, self-absorbed heroes better than Russell (see Big Trouble in Little China for all the proof you’ll ever need), which makes him perfect to play the dad of Chris Pratt’s swaggering, self-important Star-Lord. Actually, now I just want BTiLC’s Jack Burton to be Star-Lord’s dad. There’s no way any Marvel character reveal could be more satisfying than watching Burton show up on a spaceship and ask some confused Kree warriors “You know what ol’ Jack Burton always says at a time like this?